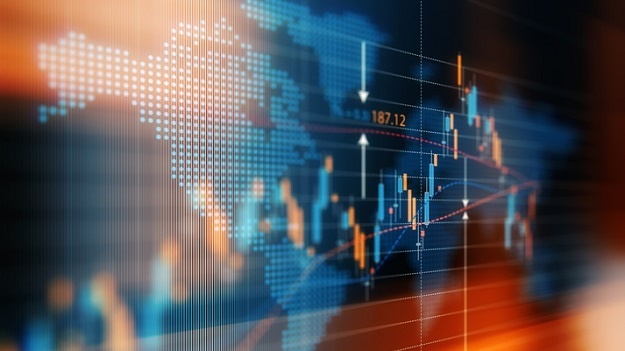 Peregrine Treasury Solutions's Bianca Botes said earlier that the rand traded in a very tight range in the overnight session, following the lack of momentum on Friday. The rand closed at R14.02 to the greenback on Monday afternoon. The day's range was R13.89 to R14.03. "The market’s risk appetite is being driven by an upbeat start to the US earnings season while positive signals from the Chinese economy are also assisting the rand," she said. OVERVIEW: US equity futures drifted on Monday while stocks in Europe edged higher as investors turned modestly optimistic toward the next batch of corporate earnings. Treasuries held steady with the dollar. Futures on the S&P 500 index fluctuated as Goldman Sachs pared gains in pre-market after missing estimates for sales and trading revenue. The Stoxx Europe 600 Index pared an earlier gain as losses in mining shares offset increases in media and insurance. The euro strengthened for a second day. In Asia, equities approached a fresh six-month high, propelled by markets in Japan and Korea, after the Bank of China released upbeat credit data Friday. With Chinese trade and lending data showing signs of improvement for the world’s second-biggest economy, investors are turning to the US earnings season to confirm the resilience of corporate America in the face of numerous challenges to growth. JPMorgan Chase & Co. posted strong first-quarter results last week, and Bank of America Corp. is up on Tuesday. Central banks remain in the picture, with President Donald Trump renewing his attack on the Fed leadership over the weekend, saying the stock market would be “5 000 to 10 000” points higher had it not been for the actions of US policy makers. Elsewhere, West Texas oil contracts slipped after the longest run of weekly gains in three years as a report showed increased US oil-rig activity. Emerging market stocks pared early gains, while still heading heading for the 12th increase in 13 sessions. In currencies, Korea’s won jump the most since January. The Stoxx Europe 600 Index rose 0.1% as of 07:37 New York time. Futures on the S&P 500 Index gained 0.1% to 2,914.25, the highest in more than six months. The MSCI Asia Pacific Index advanced 0.5%, the largest gain in more than a week. The MSCI Emerging Market Index advanced 0.1%. Topix index gained 1.4% with the first advance in more than a week. The Bloomberg Dollar Spot Index fell less than 0.05% to 1,192.05. The euro climbed 0.2% to the strongest in more than three weeks. The MSCI Emerging Markets Currency Index advanced 0.1% to the highest in more than three weeks. The South Korean Won rose 0.6%. The yield on two-year Treasuries advanced one basis point to 2.40%, the highest in more than three weeks. The yield on 10-year Treasuries fell less than one basis point to 2.56%. Germany’s 10-year yield climbed one basis point to 0.07%, the highest in almost four weeks. EU ministers on Monday authorised talks to eliminate tariffs on industrial goods, following through on a political accord reached in July between President Donald Trump and European Commission President Jean-Claude Juncker. The EU sought the agreement with the US president, in part to avoid levies Trump threatened on foreign automobiles and car parts. Negotiations will start amid escalating transatlantic tensions, with the US having accused the EU of not acting in good faith and delaying the start of talks. Trump’s car-tariff warning, which would be based on the same national-security grounds used for controversial duties last year on foreign steel and aluminum, will weigh heavily on discussions, with the EU bristling over the idea that it poses a threat to the US. The EU is considering hitting US goods ranging from handbags to helicopters with retaliatory tariffs to the tune of 10.2 billion euros ($11.5 billion) in a dispute over subsidies to Boeing Co. The plan follows a US threat to seek $11 billion in damages through duties on European goods to counter state aid to Airbus SE. Andre Botha, Senior Dealer at TreasuryONE said the rand is expected to stay within tight ranges ahead of the long weekend. By 10:02, the rand was trading at R13.90 to the greenback. “The rand closed the week off below the R14.00 handle, as the US dollar lost some ground on Friday evening. Poor US Consumer Sentiment data coupled with positive Chinese trade data has helped EM currencies against the US dollar. "We expect most of the market moves to be down to international events especially centred around US and China developments. The Chinese trade number subdued a bit of the world growth worries and this has also increased the risk appetite of market players and we have seen a lot of yield-seeking behaviour from the market and this bodes well for the rand. "However, we have seen commodity prices on the back foot, which normally coincides with a bit of EM weakness. Stocks in Asia kicked off the week on a mostly positive note after earnings and Chinese economic data eased concerns about a slowdown in global growth, leaving the region’s shares on course for a fresh six-month high. Japanese shares posted the largest gains, with equities in Hong Kong, China and South Korea also stronger, even after earlier gains were trimmed. European futures edged higher. Bullish sentiment gripped Asia after the S&P 500 Index Friday came within 1% of a new all-time high. Australian bonds fell, tracking the drop in Treasuries prior to the weekend. The dollar steadied with Treasuries and oil started the week with a modest decline. With Chinese trade and lending data showing signs of improvement for the world’s second-biggest economy, investors are now looking for the earnings season to confirm the resilience of corporate America in the face of numerous headwinds. JPMorgan Chase & Co. posted strong first-quarter earnings. Meanwhile, President Donald Trump renewed his attack on the Federal Reserve over the weekend, saying the stock market would be “5 000 to 10 000” points higher had it not been for the actions of the US central bank. Elsewhere, finance chiefs and central banks stand ready to "act promptly" to shore up growth amid a multitude of downside risks, according to a communique from the International Monetary Fund’s main advisory panel. Oil started the week on a softer note, after capping its sixth straight week of gains Friday, with a report showing increased US oil-rig activity taking some of the heat out of the rally. Shareholder activists Just Share and environmental law organiSation ClientEarth have written to more than 50 funds in South Africa about their duty to savers. The local industry oversees about R4.2trn in retirement investments, according to the two groups.